Whether you’re zoom-zooming the streets of Holmen or beyond, you won’t find more qualified auto mechanics better prepared to work on your Mazda than the highly trained auto repair team at Cordell’s Automotive. We’ll provide you with new tires or we’ll dive deep under your hood to quickly and accurately diagnose whatever might be ailing your Mazda. Come into our comfy waiting area to get a fresh cuppa of joe or let our auto repair technicians help you get on your way. 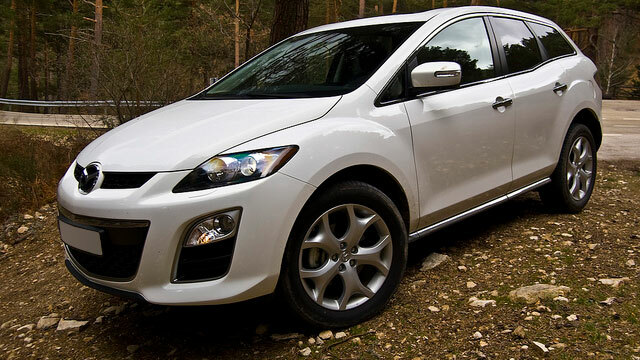 While we work on your Mazda, unless it’s a quick fix or simple oil change, we can shuttle you to where you need to go. If your Mazda requires more extensive work, we will put you in one of our loaner vehicles so you won’t be too inconvenienced. Cordell’s Automotive is here for you, and we’ve staked our reputation on being able to deliver you and your Mazda the highest level of customer service possible. The auto mechanics at Cordell’s Automotive will always make things right and will go out of their way to provide you with the best customer service possible. We back our work with a 3-year/36,000 mile warranty and will always do our best to help you get to wherever you need to go even if you’re tempted to hang out in our awesome waiting room. We’d love to work on your Mazda. Schedule an appointment today. Cordell’s Automotive is located at 300 South Holmen Drive, Holmen, WI, 54636. Our hours are 7:00 AM - 5:30 PM, Monday - Friday. We also service the communities of La Crosse, Onalaska, and Trempealeau.